The Angus links, returning to The Open rota for the first time in 24 years, was a beast. The set-up was so tough it reduced a young Sergio Garcia to tears! With one hole to go, eccentric Frenchman Jean Van de Velde had a three-stroke lead. The tournament was surely in the bag. But Paul Lawrie didn’t think so. The man from up the road in Aberdeen had shot a brilliant 67 to be joint leader in the clubhouse and had gone off to the practice ground to hit balls in the unlikely event of a play-off. At the same time, Van de Velde was making a complete dog’s breakfast of the 18th, which included him wading into the Barry Burn in his bare feet. His wife couldn’t look, TV commentator Peter Alliss was astounded, and when he took a triple-bogey seven, scores were level. So it came down to a four-hole play-off between Lawrie, Van de Velde and former Open winner Justin Leonard, the American who bore a striking resemblance to Prince Andrew. In driving rain and a strong wind – not bad by Aberdeen standards – Lawrie was the man for the job. Roared on by the home galleries, the 30-year-old played the golf of his life to finish birdie-birdie and claim a three-shot win. 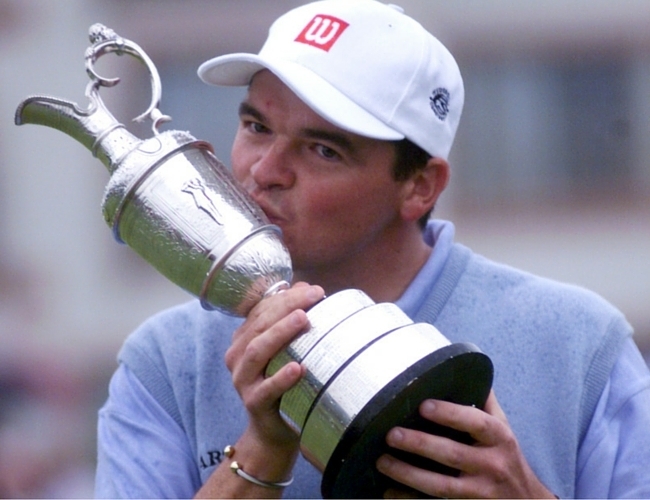 The Claret Jug was his as he became the first Scot for 89 years to be crowned Open Champion on home soil.